Fast, cool and versatile, our top-of-the-line, high-performance microcentrifuges are the Microfuge 20 Series. These benchtop dynamos are precisely designed to meet your application needs: nucleic acid and protein preparation; pelleting, extractions, purifications, concentrations, phase separations and receptor binding; and rapid sedimentation of protein precipitates, particulates and cell debris. 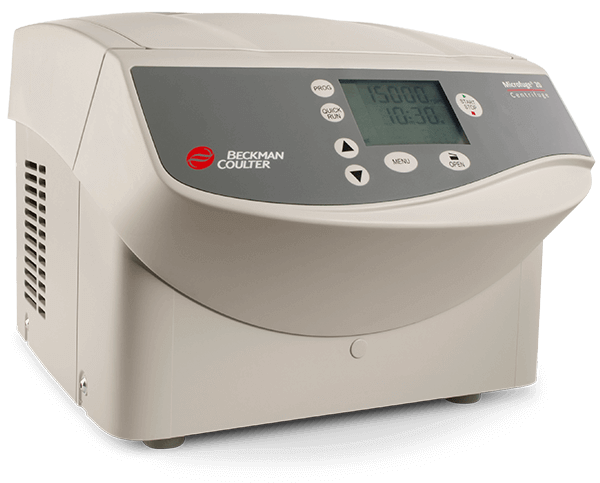 Paired with Beckman Coulter Microfuge Series rotors, these instruments allow you to achieve the flexibility and outcomes you need for your lab.